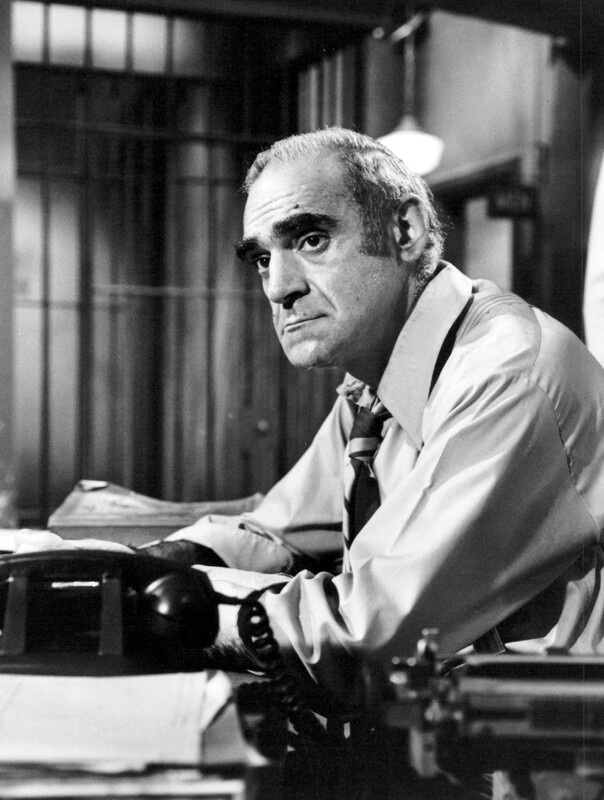 Abe Vigoda, whose leathery, sunken-eyed face made him ideal for playing the over-the-hill detective Phil Fish in the 1970s television series Barney Miller, and a subsequent spinoff; and as the doomed Mafia soldier in The Godfather. Vigoda played Sal Tessio, an old friend of Vito Corleone (Marlon Brando) who hopes to take over the family after Vito’s death by killing his son Michael Corleone (Al Pacino). For 30 years, he worked in the theater, acting in dozens of plays as diverse characters such as John of Gaunt in Richard II (his favorite role); and as Abe Lincoln in Tough to Get Help. His resemblance to Boris Karloff led to his casting in the 1986 New York revival of Arsenic and Old Lace, portraying the role Karloff originated on stage in the 1940s. He remained a popular character actor in films, including Cannonball Run II, Look Who’s Talking, Joe Versus the Volcano, and North. For decades, there has been a running joke about the demise of Abe Vigoda, which began with an erroneous report in People Magazine back in 1981. He found the gag to be great fun, spoofing the idea in commercials and on Late Night with David Letterman. A website was set up to remind readers Vigoda was still alive. 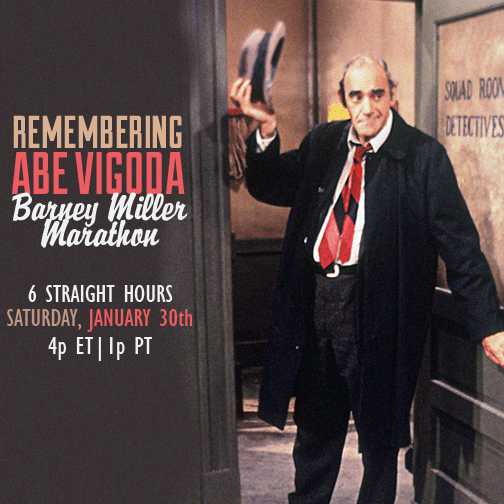 Antenna TV will honor his memory this weekend with episodes of Barney Miller. The marathon will begin mid-Saturday. The durable Abe Vigoda was 94. This entry was posted on Tuesday, January 26th, 2016 at 4:45 pm	and is filed under Blog by Manny Pacheco. You can follow any comments to this post through the RSS 2.0 feed. Responses are currently closed, but you can trackback from your own site.